Introducing the Dior DioRiviera Beachwear Capsule Collection. For Spring/Summer 2019, Dior releases a special beachwear collection with the kaleidoscopic motifs. This new print.. Introducing the Dior My ABCDior Personalization Service. In 2016, Dior has introduced the My Lady Dior and Lucky Bagdes for the Cruise 2017..
Presenting the Dior Spring/Summer 2019 Bag Collection. The new collection features the latest Saddle style, which now comes in a belt bag. The.. Introducing the Dior Fall/Winter 2019 Runway Bag Collection. Maria Grazia Chiuri’s latest collection for Dior takes its inspiration from Teddy Girls, the female.. The Dior Men’s Fall/Winter 2019 Collection was recently presented during Paris Fashion Week. Similar to other luxury brands, Dior also held a preview.. Introducing the Dior Men Fall/Winter 2019 Runway Bag Collection. Kim Jones presented his second collection for Dior at the Plateau Joffre in Paris,.. Introducing the Dior Pre-Fall 2019 Bag Collection. Dior continues with the Saddle and Book tote bags in this collection. The Saddle is featured..
Dior recently presented their Men’s Pre-Fall 2019 Collection. The luxury brand held the show in Tokyo, Japan with a futuristic theme. Kim Jones..
Dior launched Kim Jones’ debut Men’s SS19 Mens collection in collaboration with KAWS. 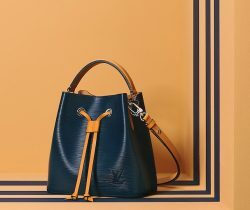 The new collection features handbags that were first presented during..